Today we’d like to introduce you to Lindsay Wilson, Dusty Folwarczny and Ryan Robinson. Two serendipitous meetings six years ago—one in Prague, Czech Republic and the other in Sydney, Australia—led the three of us to ditch our management consulting gigs and launch a company dedicated to creating visual experiences proven to inspire and engage people. 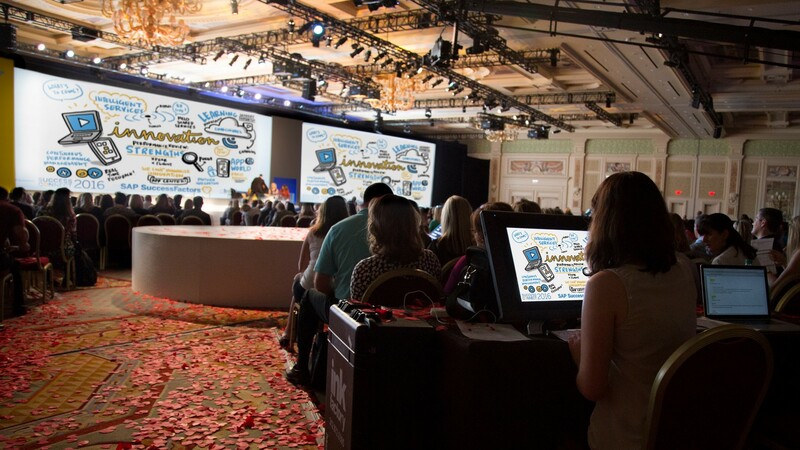 At its core, Ink Factory utilizes visual note-taking—the art of drawing what we hear using images—to transform how companies train employees, how conference planners engage attendees and how brands design interactive tradeshow exhibits. Our value proposition quickly won over clients, and our success has only compounded over time. Our work has enabled brands like Whole Foods to facilitate more impactful conversations with the communities where they do business. It has helped companies like Autodesk introduce complex products to its sales teams. 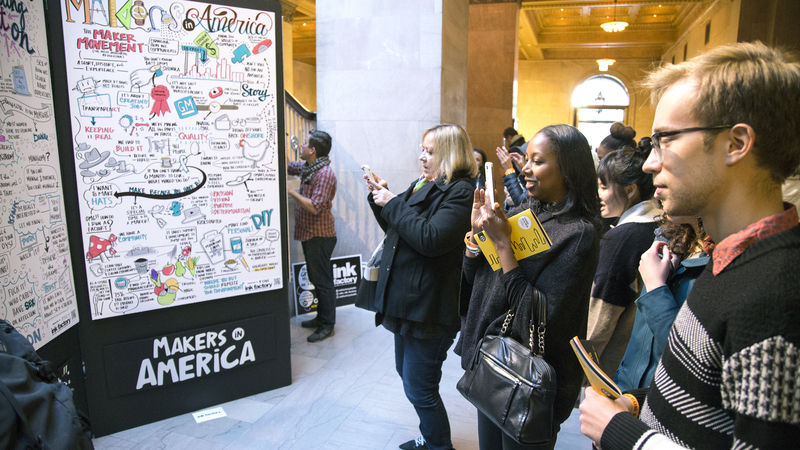 And here in Chicago, where Ink Factory is the official visual note-taking partner of Chicago Ideas Week, our work has captured the ah-ha moments from every speaker session since the ideas festival debuted in 2011. Founding a company is an immense undertaking and one that inevitably faces challenges. Among the Ink Factory partnership, each of us is an artist and we share a common vision. This vision has shaped our company and kept us focused. But we also learned early on that multiple business partners means multiple opinions about the way we should operate. And we knew there was room to grow as business managers. Since being business partners is a lot like being in a marriage, we committed to making time to improve our internal communication styles through group therapy sessions. Which in turn helped us hone our leadership skills, communication styles, and business processes. The result is a thriving business and partnership. Alright – so let’s talk business. Tell us about Ink Factory – what should we know? Ink Factory is a team of artists who specialize in visual note-taking. This means we can listen to just about anything—a keynote speech, an earnings call or fireside chat—and draw a visual representation of what we hear. And we do it live—right before your eyes. Today, people are inundated with immeasurable amounts of information. The challenge facing organizations is how to present this information in more memorable, useful forms. And we offer the visual tools to help them do this. 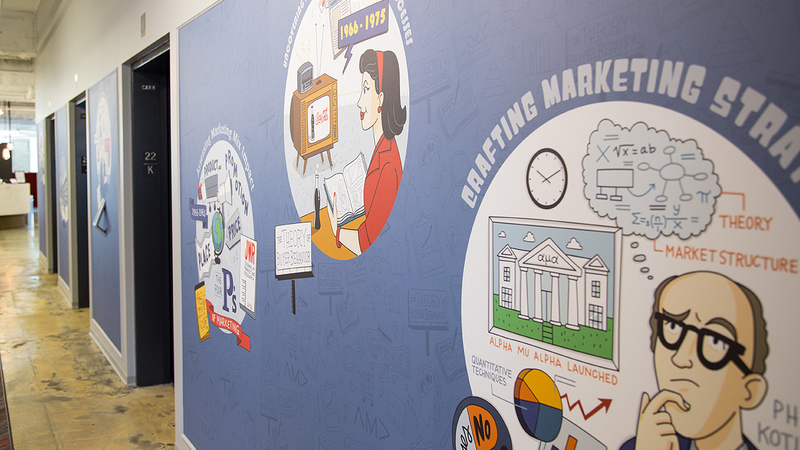 This can include visual notes, illustrations, animated videos or visual experiences like outdoor murals and LED panels. What we’re most proud of is that these visual tools have proven benefits. People are naturally visual learners, so when information is presented visually we remember more about it. And because we process images more quickly, visual notes can make even the most confusing content more accessible and easier to understand. One of our earliest partners was Chicago Ideas. 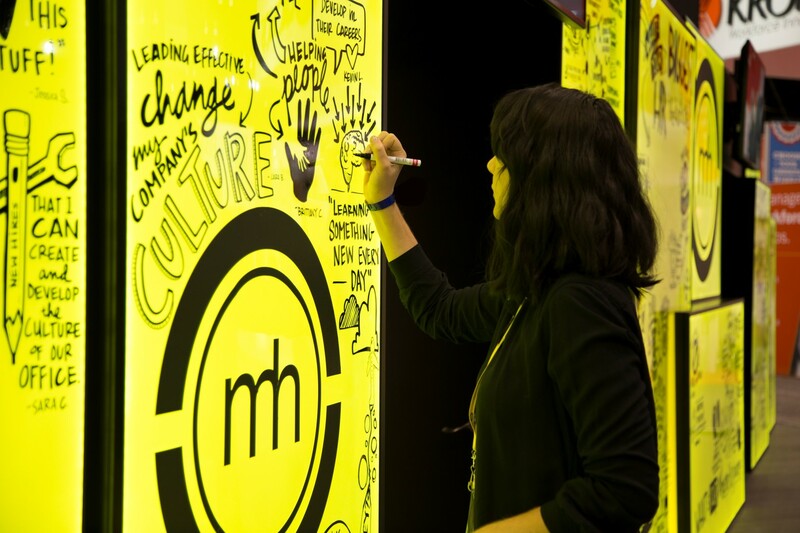 This like-minded organization shares a commitment to ideation and innovation and we’re grateful for the support they’ve shown us and visual note-taking. 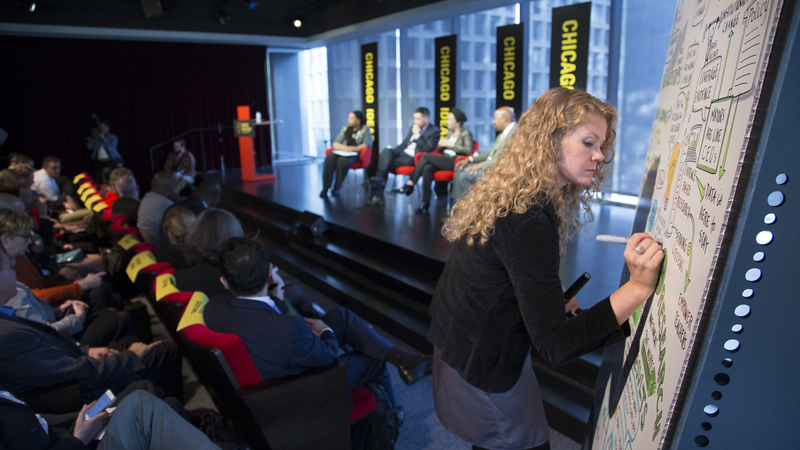 In fact, we founded Ink Factory in 2011, the same year Chicago Ideas debuted Chicago Ideas Week. 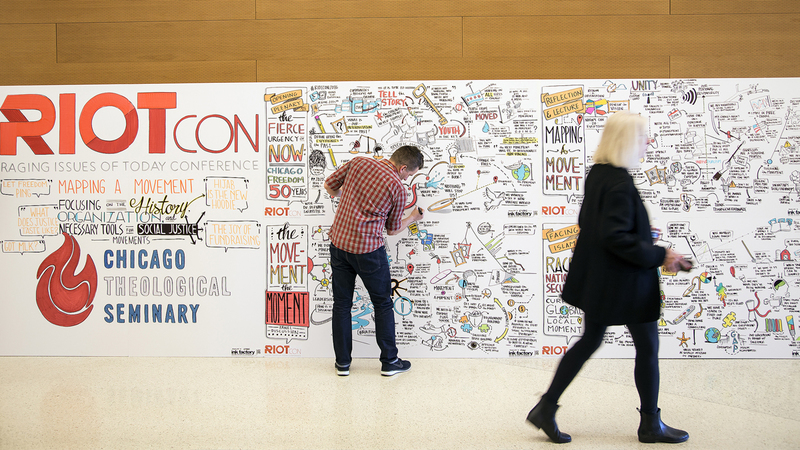 That year, we captured visual notes at every speaker session, and we’ve continued to do so every year since. We’re also building an advisory board of trusted, forward-thinking mentors from a variety of industries who are committed to helping us grow and innovate. This outside perspective will be invaluable.